Good grief, is that a life-sized Tonka truck? You’d better believe it. 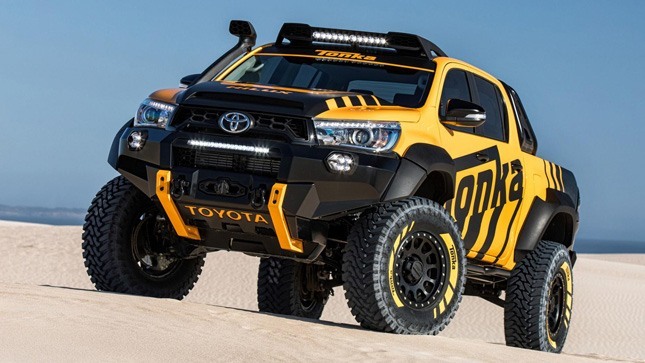 And it’s based on the Toyota Hilux, which means it’ll stand up to the worst your sandpit can throw at it. Even if the sandpit in question is rather large, and looks to have the Pacific Ocean attached to it. That’s right. 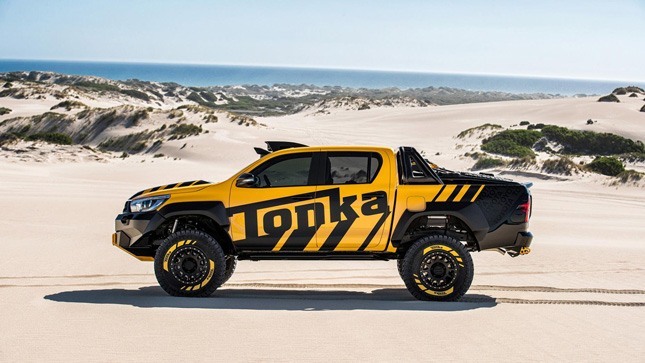 The Tonka Toyota is parked on the intensely beautiful east coast of Australia. 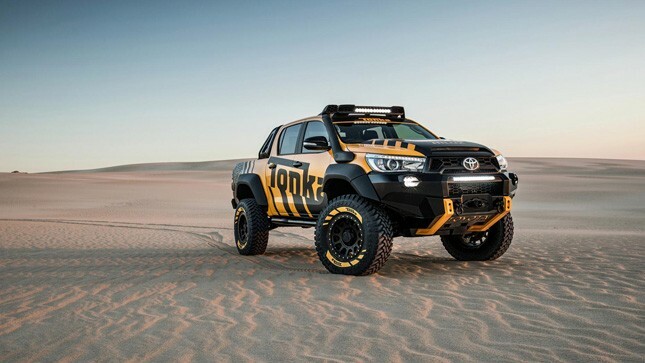 That’s because the sun-kissed blokes and blokettes at Toyota Australia decided to indulge their inner eight-year-olds and build a road-going version of the infamously tough children’s toy—based on the infamously tough Hilux. Yes, you mentioned the tough bit before. Why has Toyota done this at all? If we answered with, ‘Why not?’, that’d probably be enough of a reason. 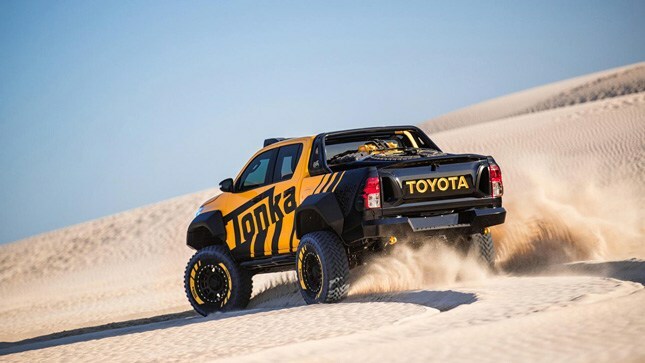 But, for those of you who need to see a real purpose behind things—the curmudgeons that you are—it’s because Tonka is 70 years old and Toyota felt it was a moment worthy of some celebrations. Plus, we suspect, they reeaaaally felt like it. Right. 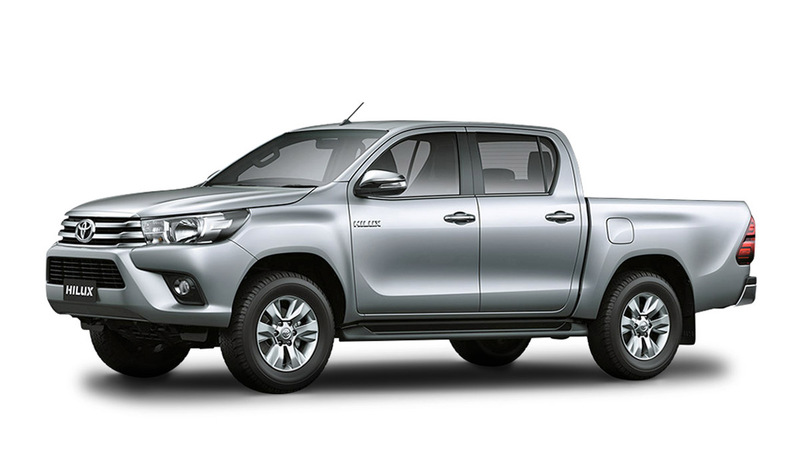 So, is the Hilux celebrating any special anniversaries soon? Very soon, actually, but not this year. The Hilux, if you can believe it, is 50 years old as of March 2018. So, this could be a happy 49th birthday present, if you really wanted to fit a square peg into a round hole. I tried that at preschool. Didn’t work. The thing about brute force is that if it doesn’t work, you just aren’t using enough of it. 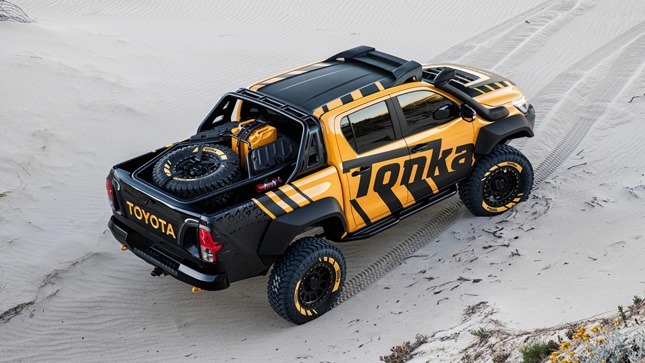 Clearly, Toyota Australia is also of this opinion—the Hilux has undergone some serious revisions, ensuring that even the heaviest of hands will find no avenue to undo the Tonka toughness. 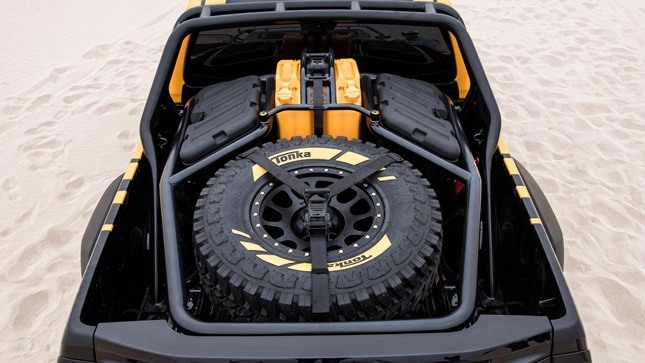 Laser-cut and TIG-welded bash plates and rails abound, protecting the engine, chassis and body from the slings and arrows of off-roading. And you’ll really have to be trying to scrape the underside of this thing. Ever heard of a portal axle? It’s a very clever bit of kit that puts a set of vertically mounted gears at the end of each axle, which has the effect of lifting the drivetrain up above the centerline of the wheel. So, where the axle would usually meet the wheel, there’s a cog, which transfers drive to another cog below it, which is attached to an output shaft that turns the wheel. It’s to lift all the important oily bits up and out of the way, improving the ground clearance by much more than a suspension lift can. A regular suspension lift only raises the body, leaving the axles right where they started—unless you fit bigger tires, that is. This looks to have much bigger tires as well, though. And how. 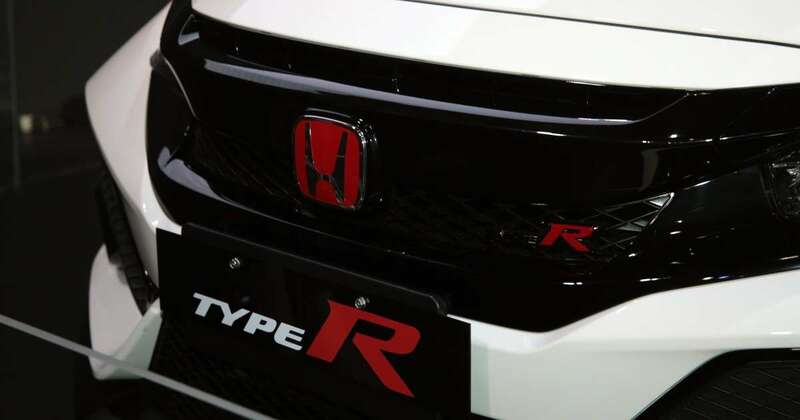 They’re 35 inches tall—a full 12 inches taller than the standard wheels fitted to the standard Hilux. And that’s where the other great feature of portal axles come into play—because the gearing is adjustable, you’re able to offset the ‘gearing up’ effect of fitting such massive tires. Whew. I didn’t come here for a technical lesson. Right you are. Let’s get back to the fun stuff. The practical upshot of all this jiggery-pokery is…well, just look at it. 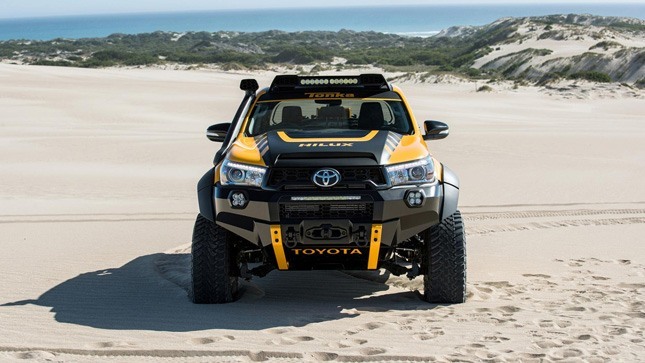 It’s nearly 30cm wider than the standard Hilux it’s built on, and more than 20cm taller. It’s also more than 300kg heavier—a nice round 2.4 tons—which means disc brakes replace the rear drum brakes. There’s a 2.8-liter, four-cylinder diesel underneath the raised ‘power bulge’ in the hood, a snorkel that ensures a wading depth of about 40,000 leagues, and enough light bars to act as an artificial sun during an eclipse. And the makeover continues out the back, with a custom space frame holding spare fuel and recovery gear, as well as a fire extinguisher, should you get things really wrong. Neat. Well, I’m sold. How much is it? Ah. 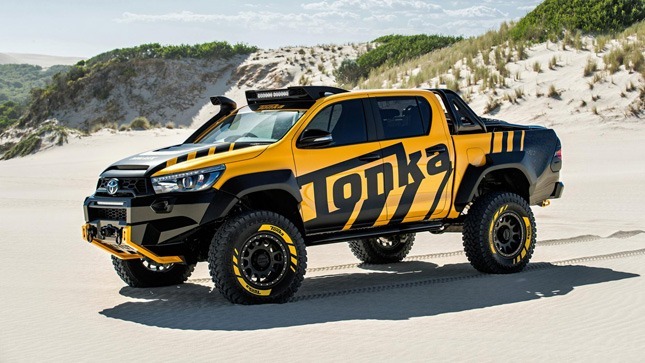 Well, you can’t buy this one—it’s a promo vehicle for Toyota Australia. 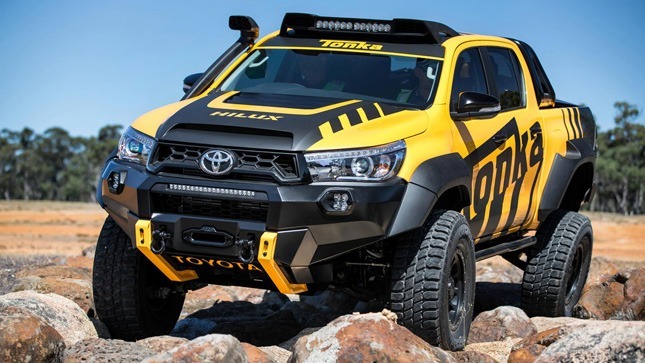 But, there’s nothing stopping you from grabbing a Hilux and fitting your own giant wheels, portal axles and speccing it out with a Tonka-spec paint job. You could even get a second-hand Hilux and do the same thing on the cheap. If you do, please write to us. We’d love a go.